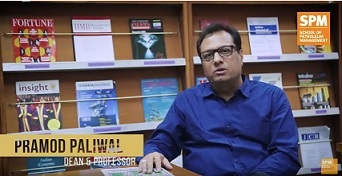 Dr. Pramod Paliwal, Dean @ School of Petroleum Management (SPM) Pandit Deendayal Petroleum University (PDPU) shares his perspective about the B-School, courses, pedagogy, industry-institute interface, placements and current & prospective students. 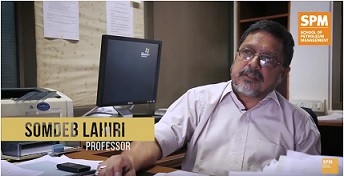 Dr. Somdeb Lahiri, Professor & Chairperson-Economics Area discussed the role of Economics in Management Education, tools for decision aiding and stakeholder value v/s shareholder value in the context of multiple objectives of the business firm. Dr. Sudhir Yadav, Associate Professor –Operations Management & Chairman, Board of Studies, MBA (E&I) talks about the cutting edge courses in Energy & Infrastructure Sector Management offered by School of Petroleum Management. 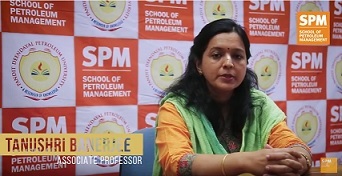 Dr. Tanushri Banerjee discusses the salient aspects of MBA (General Management) Programme @ SPM, PDPU. This programme has been a recent addition to the academic programmes at SPM and is greatly benefited by the synergies offered by already existing programmes. MBA (General Management) brings a new set of perspectives to the teaching-learning processes at SPM and also adds to the diversity of SPM academic programmes.